My white pretty lilies finally bloom in. 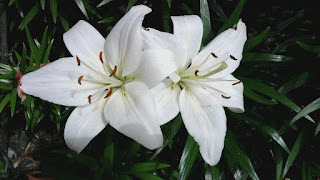 This was taken late June of this year, but because they were out numbered with the colored lilies I have in the back round I think sharing you the white color I have would be a amazing. It makes me smile and feel good whenever I see pretty flowers, whether I planted them or just in the store whenever we pass by the area. They make your emotion feels lighter. I don't know exactly what is on them that makes you feel that way. Maybe they were create to be that way to people. That's why I really take good great of them in our yard and when someone gives me pretty nice flower through a delivery company. Assorted one, in different colors makes my mood even brighter. I wish I have enough money to spend every week, so I could just order from them and either to pick it up from the store or just simply ask for delivery. So, I can't wait for another occasion in my life, that way my partner would just simple send me flowers and then I could keep them for weeks inside the house. Put them in a good vase and just adds to the beauty of the house. I would feel like I'm in a secret garden with the scent of the flower and with the flowers around at the same time. If you want to check out more coupon actions simply visit coupons for more savings you will have. 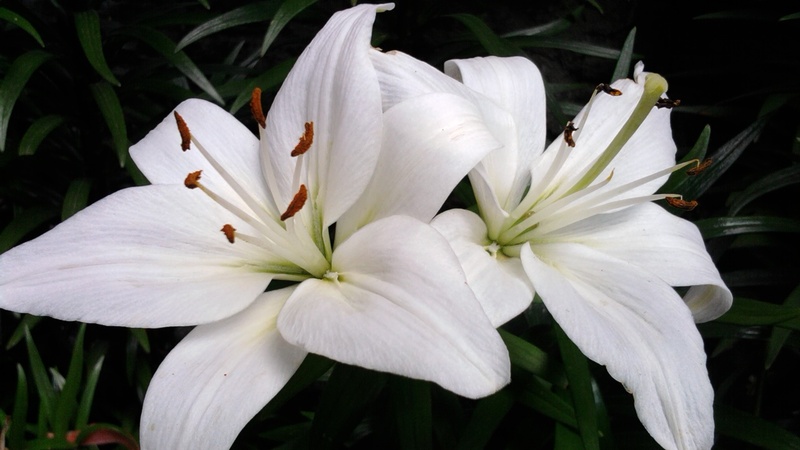 oh, these are very beautiful flowers, Nova, they indeed can bring heartwarming smile.